Step by step procedures to convert an SKS (Samozaryadnyi Karabin Simonova) semi-auto Russian rifle to full automatic operation. 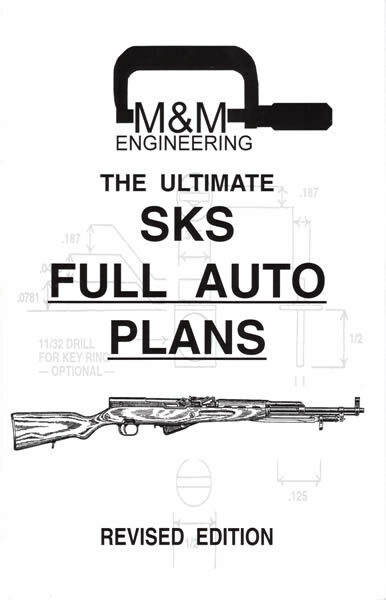 Chapters include history, nomenclature, cartridge, disassembly, understanding the trigger group function, and blocking the sear disconnector. Also, covered is the Minute-man fast and easy wire conversion method. Necessary pictures and drawings to accomplish the job.